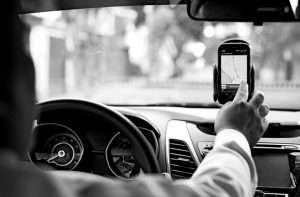 The Cabify transport platform will invest one billion pesos in Mexico in 2017, to consolidate the operation in the 10 cities where it operates and new launches that will be offered during the year. The company’s CEO, Juan de Antonio, said that they seek to improve connections, build bridges instead of walls, as the country represents one of its most important markets, being a key factor in the success of the company. “Cabify is a Latin-based company founded in Madrid and only a few months later it opened operations in Mexico. Our present and future is Latin America and for that reason we will always go together with Mexicans,” he said. According to the platform, with these investments it seeks to generate more than 200 thousand opportunities for self-employment in 2017, encouraging citizens to become micro entrepreneurs. Cabify’s general manager, Ricardo Weder, stressed that Mexico is a country with the potential and capacity to generate domestic resources in favor of its economy and to overcome any obstacle. Cabify currently operates in México D.F., Monterrey, Guadalajara, Puebla, Querétaro, Toluca, León, Mérida, Aguascalientes, and Tijuana.